This July, we turn up the heat by building tapas, the fire of transformation. Into this fire, we place our will and temper our passions. “A moving object, when it interacts with other objects, creates heat. Heat, in turn, stimulates movement, which allows new combinations to occur.” [Anodea Judith] Fire influences change, destroying form and releasing energy. With this energy, we tap into our innate potential for growth and expansion. We return again and again to the question, “Are you expanding or contracting?” (Hint: Expansion is ideal.) Are you resisting, turning away? Or, are you facing forward, standing in your power, seeing what is, and then growing larger because of it? Sit comfortably in an upright posture and rest your hands on your lower belly. If you’re sitting in a chair, make sure to place both feet on the ground. Take a deep, cleansing breath before you begin, in through your nose and out through your mouth. Inhale deeply through your nose, filling your belly with air about ¾ way full. In a quick motion, exhale through your nose, forcefully expelling all the air from your lungs by drawing your navel in toward your spine. Allow your lungs to fill up naturally, with no effort as your belly expands. Perform this cycle 10 times, then allow your breathing to return to normal and observe the sensations in your body. Repeat these cycles of 10 movements, 3 to 4 times. A well-balanced heart is a compassionate, empathic, and tender heart. Hardness is tempered with softness. Softening invites connection, openness, and reception. We move from doing to being. This month we play with balancing muscular strength and yielding softness, moving from effort to surrender. 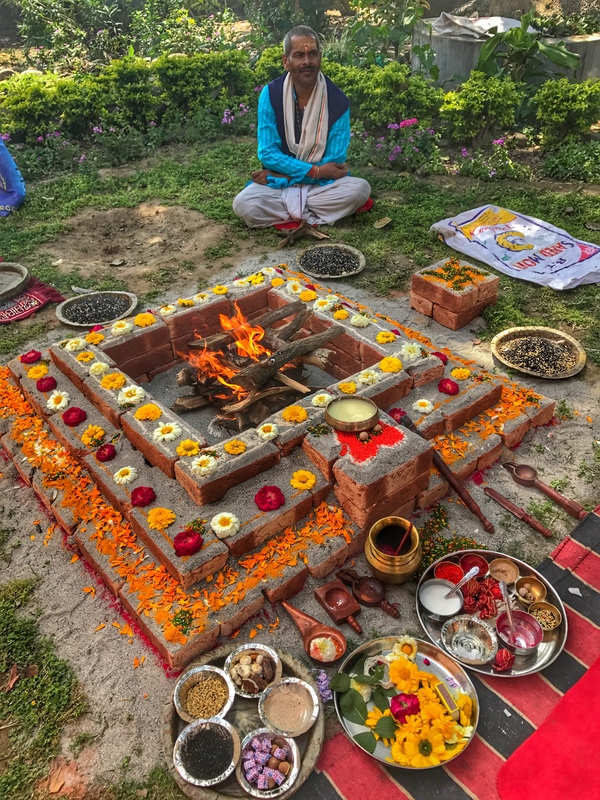 We will also explore the body/breath/heart connection through pranayam practice. The breath is central to unlocking the body and opening the realm of the heart. Each inhale brings spaciousness and expansion to the body. Each exhale invites softening and release. What journey will your body and breath take you this month? Come find out! See you on the mat! Tied on a short lead, no water or feed available, I reached over and rubbed her head, scratched around her ears. Her eyes closed, and she pressed her head against my hand, asking for more touch, more contact. So I gave more. Love in its most simplest of forms. Asked for, and given. Along my trip it was tiny moments like these that broke my heart open the most. Sunrise prayers and blessings to be offered on the Ganges. 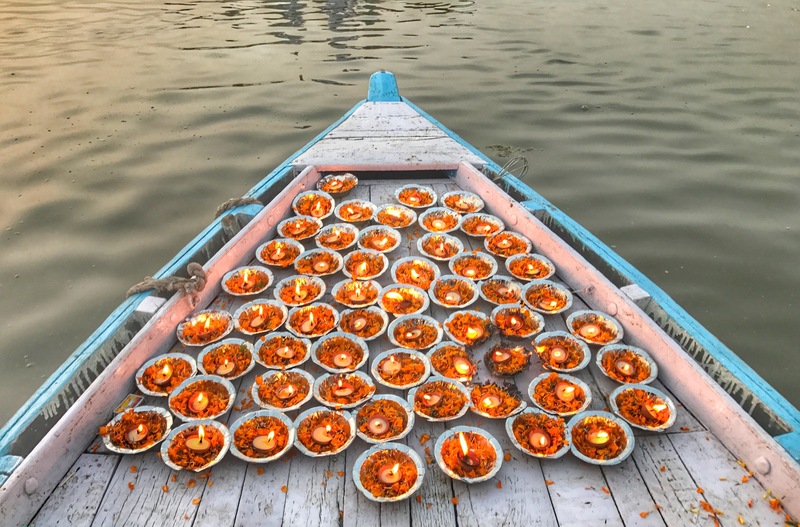 Varanasi, India. It has been a little over a week since I returned from India. And, what a week it has been! Jet lag, a head full of thoughts at 3:00am in the morning, and deep and tender silences that linger in my heart. India has a very certain way of challenging body, mind, and soul. The number one question I have received since returning home–“So, how was your trip?” My responses each time I have been asked have all been some succinct variation of “good.” “Good” does not even begin to cover it! If forced to sum it up in one word, intense is what comes to mind. There exists within me, at the moment, a certain amount of cradling as if I am in a state of processing before ripening. And so, I look forward to slowly sharing some of my experiences with you–as they unfold–during the coming weeks and months. In just the short time I have been home, I have begun considering retiring from something that I have been doing for 30+ years! Almost a scary thought, but it also carries a sense of relief. Change is inevitable, and my interests have been evolving and shifting. By letting something old and tired go, I make space for possibility! The seeds of change have been sown. Now is the time to water them, and watch them ripen. This month we will touch on and contemplate our relationship with money, being in service to others, and our purpose in life. How would we describe right-livelihood? Who are we giving our time, money, or love to; and are we doing it appropriately? Why do we make the choices we do? One way to do such contemplating on your own is with daily meditation, taking walks in nature, journaling, prayer, or simply resting quietly, even if only for five minutes. This precious and dedicated time, unplugged from distractions, helps settle the mind and is extremely helpful when considering the important questions in our lives. How much time, daily or weekly, can you commit to watering the seeds of change? This month we focus on our center of peace, the still center point of our energetic body–the Anahata (Heart) Chakra. This peaceful, loving, compassionate energy is reflected by the Golden Rule: Treat others as you would wish to be treated. Love yourself, as well as your neighbors. What you wish upon others, you wish upon yourself. Where in your life are you being less than any of this towards either yourself, or others? The element associated with the Anahata Chakra is air. Air is most commonly associated with expansive knowledge, openness and spaciousness, freedom to breath and a sense of lightness. This love is empathic, compassionate, and is experienced within us as a state of being which is not based on need or desire. We will work with prana (breath), back bends, and chest openers to help us connect with some of these elements. For your meditation practice, I offer you the seed (bija) sound for the Anahata (Heart) Chakra: Lam. Repeat this seed sound silently to yourself as you gently follow the rise and fall of your breath with your attention. You might also envision a green, glowing light centered in your chest. Feel this essence of compassion, drawing it in on the inhale, and radiating it out on the exhale. An interesting side note: The translation of Anahata from Sanskrit is “sound that is made without any two things striking. 2) The Friday Breath & Meditation class at Breathe Together Yoga is at a new time: 2:30-3:00pm beginning Feb. 17th. A new year fresh start, facing unknown adventures, with a willingness to return time and again to an open and compassionate heart for all experiences that will come my way. This is my invocation for 2017. This month is dedicated to present moment awareness, and beginning again over and over. Life has a way of interrupting the best of intentions, no doubt. Stumbling blocks, while they may slow us down, also become the very stones we step on–or over–along the path to our inner freedom. Last September, we worked with one of the mantras associated with Ganesha. Ganesha is the elephant headed Hindu god who removes obstacles (and sometimes is known to place them!) along the path. This month we will work with the Ganesha mudra (hand gesture) pictured above. His energy is typically invoked at the beginning of any new endeavor to help smooth the way to success. 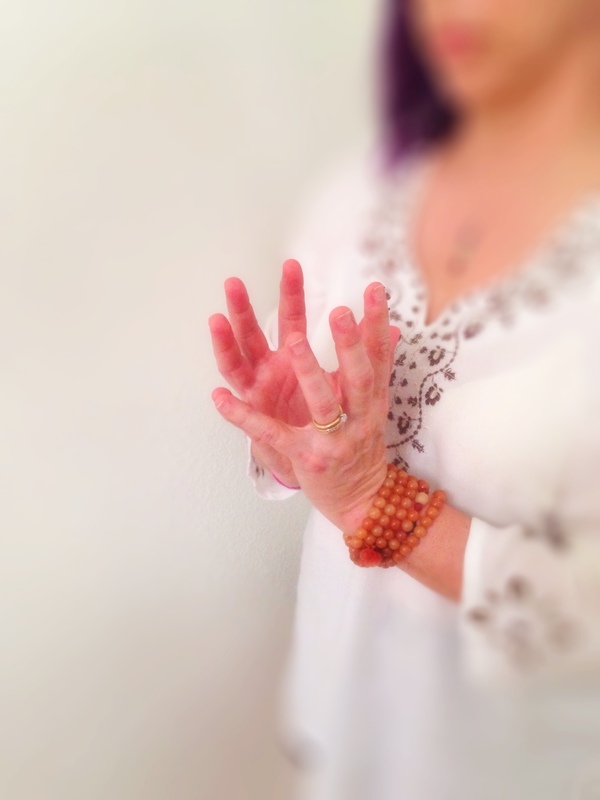 Practice of this mudra is said to help lift spirits and to assist in persevering. As a side bene, it also releases tension through the shoulders and chest! On another note, there has been a change to the Saturday morning Vinyasa class at Palo Alto Family YMCA, until at least April 2017. The leaves are beginning to turn, a final blaze of color to close out another year of growth. Fall is a time for letting go of old clothes, old habits, old ways of being. Echoing Pema’s quote, each and every time we turn to face our fears is an opportunity to shed them. To also quote my teacher, Jennifer Prugh, we continue to “die to our perceptions, over and over” until we reach the eternal, indestructible Truth. This month we will explore the themes of letting go and riding the waves of change. What does your world look like when experienced upside down? Do you resist flipping your perspective? Why is that, and is it True? My favorite time of the year is just around the corner–Fall! It is the perfect time to contemplate how prosperity is manifesting in your life right here, right now. The universe, your physical body, your mental thoughts, the objects and people that surround you, abundance both given and received, are energy bound in different forms. This month we will be exploring prosperity and abundance, both physically and energetically, via our hips and mantra. Mantra is a repeated word or phrase that is meaningful or sacred to the practitioner. Mantra can elevate or modify consciousness, through meaning, sound, rhythm, tone, and reflexology of the tongue against the palate of the mouth. Mantra helps us connect with, and embody, positive, meaningful, or sacred energy. 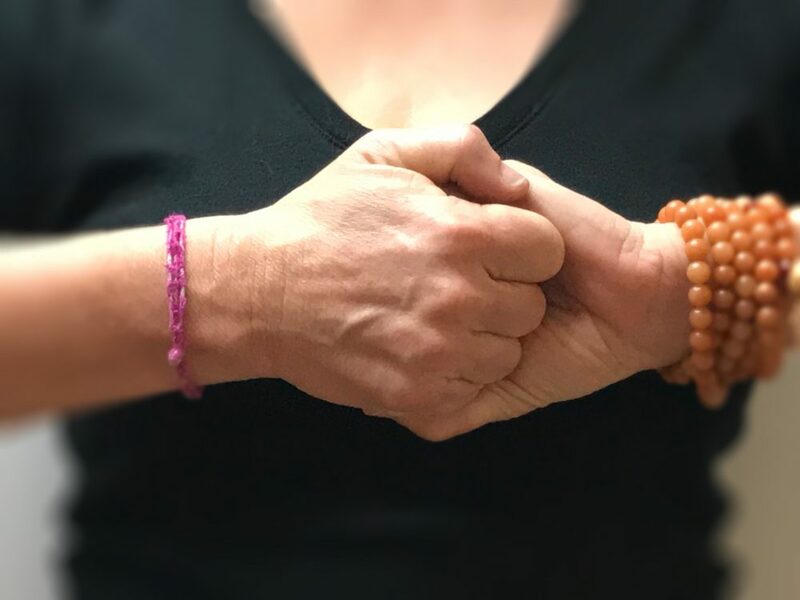 One of my favorite mantras we will be working with this month is “Om Gum Ganapataye Namaha.” This mantra invokes the energy of Ganesha, the elephant-headed deity who is known as the Remover of Obstacles and the Lord of Beginnings. Ganesha helps clear the way for success and abundance to flow more readily in our lives. Below is a brief video clip of me working with this particular mantra. And, just in case you were wondering–after watching the clip–mantra can also be silent! Chanting or singing out loud is always optional. Truth. No one type of meditation is better than another. What matters most is consistent, persistent practice of a method that feels right to you. We will be practicing consistency today, 2:00-2:30pm at Breathe Los Gatos. See you on the cushion! Looking for a fun little challenge this summer that will up the peace quotient in your life? 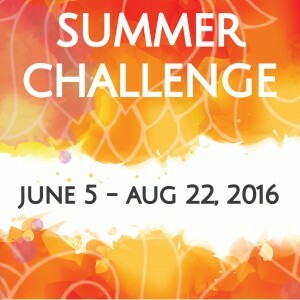 The Breathe Los Gatos 2016 Summer Games begin June 5th! The Summer Games are a fantastic opportunity to check out yoga classes you’ve never taken, and to help you establish a regular yoga practice. Full participation includes a chance to win some amazing raffle prizes! 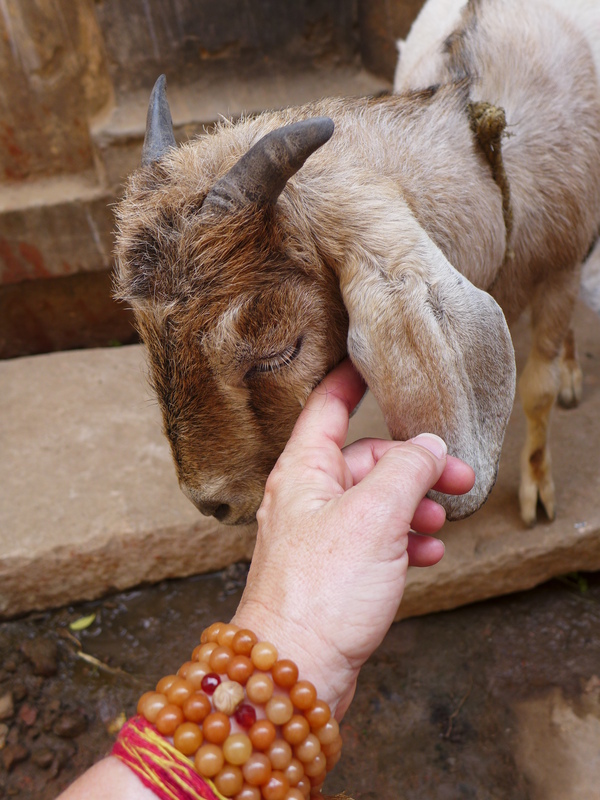 Compassion in action begins with self. Notice how many moments during your average day, when you are unkind to yourself. Self-judgement, feelings of unworthiness, comparison of self versus another are just a few of the ways we are unkind toward ourselves. This month we will explore the many ways we can soften the relationship we have with self and others.